The Star will include Cardiff on Thursday 11th April and Bristol Thursday 18th April on her UK tour. Bringing her new ALDC Team of young dancers for a performance plus a chance to meet Abby and her dancers. Plus more exciting news to be released very soon. The Ballet Academy offers a complete program for the young dancer. We also provide lessons in Ballet, Tap, Lyrical, Modern Jazz and Musical Theatre, Tap and Acrobatics / gymnastics . Each lesson is held as a serperate class to enable pupils to specialise in the area. The Academies are run by a Principal, Artistic director, several guest teachers, volunteers and chaperones. All pupils are entered in for medal tests and shows. With graded examinations from the age of 5 years of age. Graded Examinations are accredited with the Council for Dance Education and Training in London. Our principal Sandra Gage trained with the Royal Academy of Dancing with graded examinations. Teaching qualifications and Memberships have previously been held with MIDAA. BTDA , WATD, PTD, UTD . New for 2017 graded examinations are now taken with a CDET accredited association. Pupils are also given the chance to perform in our shows events and many other productions held throughout the year. We have several Dance Festival championship title holders in the school and our dancers are only entered for recognised Dance Festivals. We have a Uniform available to purchase from the school which your child will be expected to wear to every class attended. We also have an outdoor uniform to be worn when attending shows and events. All our teachers and guest teachers are qualified and hold registered teaching certificates which enables us to teach your child correctly and confidently. Teachers and volunteers also hold DBS checked certificates, updated Insurances and together have at least thirty two years of teaching abilities. We are able to offer your child lessons in a group or private tuition, master classes with guest teachers, valuable trips to shows and venues such as Pineapple Dance Centre London and West End Shows. Children showing potential and commitment are given the opportunity to train in monthly Stage One Associate classes with our lovely Teacher Miss Nazene , principal of the Nazene Danielle's Dance Dynamix School based in Liverpool. Miss Nazene is also the teacher responsible for training all the dancers that appear on Dance Mums UK TV programme. Nazene also works alongside Kimberley Wyatt and Eastenders Star Jonny Labey. 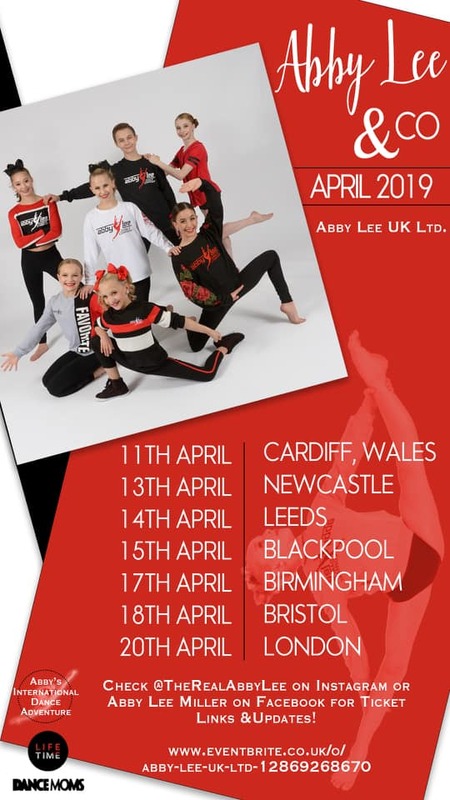 Youngsters travel from London, Devon, Dorset , Wiltshire, West and South Wales every month or the classes , which are held in Cardiff. We have five pupils who are a part of this monthly class. Please note we do not accept children into our Academy who attend other dance schools that teach the same disciplines as our Academy. Neither do we allow our pupils to attend different schools offering the same classes as us. Classes are paid Termly in advance . A membership payment is required plus an annual payment of £10 each September. Please note should you decide your child no longer wishes to attend classes there is no refund available. 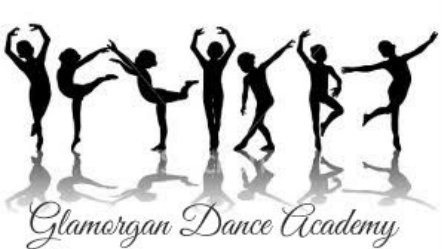 The signed registration form acts as an agreement between Glamorgan Dance Academy (The School) and parents/guardians and states Three weeks notice before the next payment is due notice in writing must be given if she/he wishes to leave the school, stop or change any classes. Alternatively a full term’s fee must be paid in lieu of such notice. As from May 25th 2018, All pupils must complete a registration form and must receive notification of a place before any classes are attended. All pupils must complete a registration form and must receive notification of a place before any classes are attended. The School reserves the right to end a student’s attendance at the school for reasons such as non-payment of fees, incorrect dress or unacceptable behaviour. Parents must fill out a registration form if their details have changed. The Principal must be notified of any changes of address, contact number and email address. The School's emails and letters contain confidential and/or privileged information and are intended for only the person to whom it is addressed. Any unauthorised copying, forwarding, disclosure or distribution of the material contained in emails and any attachment is strictly prohibited. All personal information at the school is kept confidential and will not be discussed or shared by the school with any other parent or student. At Glamorgan Dance Academy, we have a duty of care to safeguard all children. It is our aim to provide children and young people with appropriate safety and protection that attend the School. We abide by The Child Protection Act 2004. At Glamorgan Dance Academy, we ensure that all children are protected. For younger students we insist they do not go home without their Parents or Guardians and will be kept within the classroom with the teacher until collected. Once out of the lesson parents are responsible for their children. It is the parental responsibility to hand in your admission form once given.This will include contact details in case of emergency etc.